My late father often said “The best thing to do in a hurry, is nothing.” As I’ve grown older, I’ve begun to truly appreciate the enduring wisdom in those words – for I’ve so often discovered that I make my biggest errors, when I do things for speed and not for pleasure. Such is the case with my post a couple of days ago about my favorite new Holiday Jazz Albums. Since I decided last weekend that I was going to write something every day for the rest of the year to atone for my lack of activity over the last six months, I’d became totally focused on putting something out there, even if I hadn’t really thought it through. So when I completed the post on new Christmas Jazz, I dropped a few words and a couple of videos, and declared my mission accomplished, even though I felt as if I was missing something…it didn’t matter; at least I was making my self-imposed deadline. I was missing something. 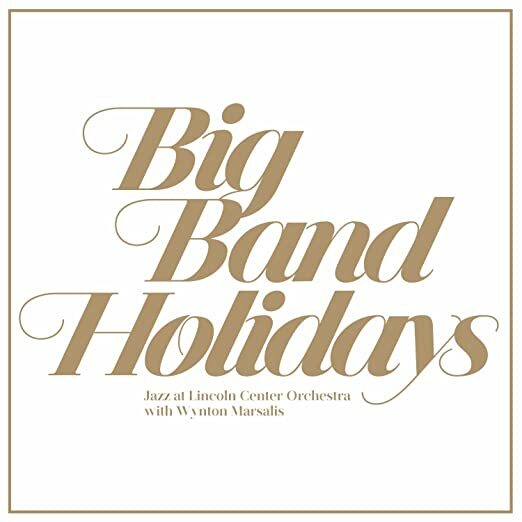 Something that I had heard and enjoyed more, , than most of the albums in the original post – it was the Jazz at Lincoln Center Orchestra’s Big Band Holidays; an album far richer and more complex than its simplistic title (and pedestrian cover art) would suggest. Every December for over a decade, Wynton Marsalis, and the JLCO have come together with some of the great vocalists in jazz to perform their arrangements of some of the classic songs of the season. Thankfully many of these concerts were recorded. This year, Blue Engine Records, Jazz at Lincoln Center’s house label, assembled some of the choice selections from 2012 – 2014 concerts and released them as a compilation – featuring three of the best vocalists in jazz today, Rene Marie, Gregory Porter and Cecile McLorin Salvant and strong arrangements from some of the bands in house pros like Victor Goines, Sherman Irby and Ted Nash, plus a nod to the new testament Basie Band by including Ernie Wilkins classic arrangement of “Jingle Bells”. Big Band Holidays is a terrific jazz album first and a good Holiday album second, which is why I will probably be listening to it beyond next Friday night. As you can see, these performances were also caught on video, so we can share a few of them with you. May these performances prove to be as timeless as my dad’s words.